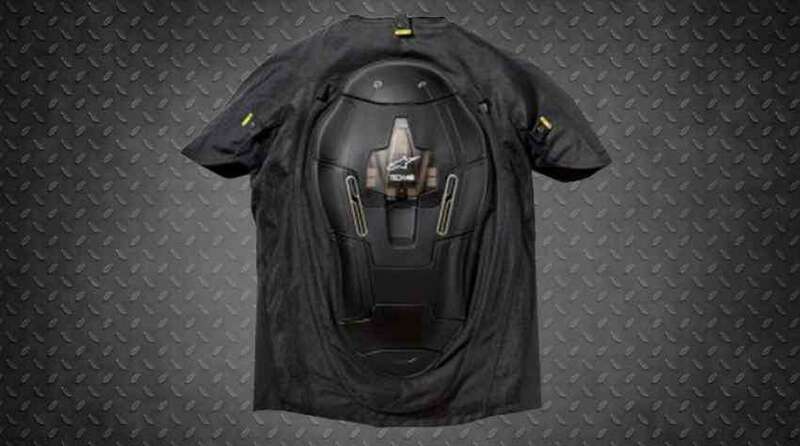 BMW Motorrad is launching the Street Air by Alpinestars, an advanced airbag system for upper body protection. This system requires no motorbike-mounted sensors. It has adopted from the current Alpinestars Tech-Air street airbag system. The airbag system of Alpinestarsuses an algorithm which detects imminent danger with precision and inflates the full upper body airbag to provide a highly effective crash protection system, ahead of the impact. The BMW Motorrad Street Air Dry by Alpinestars textile riding jacket is designed to interconnect with the Alpinestars airbag system vest which is an essential component for the system to be fully operational. System offers instantaneous inflatable upper body protection to the back, kidneys, chest and shoulders. This airbag jacket is the first safety product to be launched under an agreement, between BMW Motorrad and Alpinestars and is available for both male and female customers in different colors. The main features of BMW Motorrad Street Air by Alpinestars include feature of full airbag inflation in 25 milliseconds for protection during crash impacts. It has no requirement of sensors to be installed on the bike separately, andimmediately ready for use. Placing sensors near to the body means the airbag system can be used on road or off-road both. No need to deactivate the system if leaving the road.And system is protected by a durable and water-resistant casing. So it is useful at any place, any time and any weather conditions.